A small town in Northern Alaska surrounded by 80 miles of icy wilderness is about to see the last sunrise for an entire month. Residents of Barrow board up their houses and retreat south in order to escape the paralysis of a frigid landscape, but a few dozen remain behind – as caretakers of a dormant community, or as nomads enveloped in the solitude of off-the-grid survival. On the final day of sun, a fearsome-looking wanderer (Ben Foster) descends onto them with seemingly menacing intent; his rough exterior and threatening eyes shoot fearsome glances towards innocent bystanders, and his words are indicative of that ever-so-dependable sense of foreshadowing that often accompanies eccentric strangers in the movies: “That cold ain’t the weather – that’s death approaching.” Somehow it never dawns on any of those remaining that maybe, just maybe, a month of total isolation – and complete darkness – can be an instant invitation to destructive forces, especially those fearsome nocturnal monsters better known as vampires. You can’t really fault them, I suppose; out in the middle of nowhere and so removed from social norms, are people like this really apt to be well versed in the nihilistic philosophies of horror movies? “30 Days of Night” is not your standard run-of-the-mill bloodsucker excursion, though. The characters have very generalized perceptions of their unspeakable reality, and certainly most of them will be picked off in rapid succession because of their foolish instinct to run in the wrong direction screaming out in alarm… but what they find staring back at them here goes beyond any incarnation of a vampire I have ever seen in the movies. Like “28 Days Later,” this is a film in awe of its creations, eager to unleash them into a world that lacks the glitz and polish of a supernatural thriller and focused in the intent to expand their visage into one of remarkable believability. There are moments here when we are not just staring back at movie villains or even watching on with misplaced hope at the antics of a cluster of desperate survivors. If a good horror picture means to transport us into the fabric of its bleak narrative and imprison us there, then here is one of those rare movies that penetrates the membrane separating all those disposable “gotcha” scarefests from genuinely engrossing supernatural thrillers, and finds a resonating chord. The story is extracted from a series of graphic novels by Steve Niles and Ben Templesmith, a notion that plays like the latest in an ongoing line of great examples of the visceral possibilities of comic book images being translated on the big screen. The film stars Josh Hartnett as Even Oleson, one of those small-town law enforcement figures who knows everyone’s name, looks at all things through suspicious eyes, and smirks with self-aware irony when he writes up citizens for violating minor laws (“A citation lets him know he’s part of this town,” he informs his partner). On the eve of the town’s final sunset for the next 30 days, however, strange and bewildering events – some that defy explanation – begin to inspire immediate concern. An entire pack of dogs is discovered dead and mutilated at a nearby farm (their deaths are visualized graphically, while their cries are intercut with suggestive shots of a mysterious hand clasping a long sharp blade). Unexplainable vandalism is noted on the sides of rickety old buildings. Then, when Eben wanders into the local diner and finds its owner being accosted by a disgruntled out-of-town stranger with bad hygiene, it brings to the forefront of all those within earshot the suspicion that things – at least for all those who will remain behind in 30 days of darkness – may not exactly be the stuff of relaxed solitude. What waits for all of them in the impending blackness of night? The movie visualizes the answer in foreboding dialogue passages and observations that build to a crescendo of shocking images. Somewhere from beyond those wintry shadows, a gathering of vampires quietly emerges to wreak havoc on these unsuspecting humans, all of whom are so utterly startled by their arrival that most fall rather abruptly to the ravenous instinct of their predators without the foresight to even hide or defend themselves. The best shot in the film, in fact, correlates to the most public of these slaughters; a camera sweeps through the town square in a steep overhead angle, and the villains scatter through a jumbled maze of buildings in pursuit of clusters of confused victims fleeing horrifically from the ensuing bloodshed (all while their screams are muffled by the snowy terrain, no less). Though the public spectacle overwhelms them, a select few, thankfully, find an attic to hide in. And under the guidance of their self-appointed protector Eben and his estranged girlfriend Stella (Melissa George), those survivors huddle together in desperation while struggling to concoct some semblance of a plan to thwart the violent antics of their menacing town visitors. Unfortunately for them, the vampires aren’t just mindless beasts driven by bloodlust, but also skilled hunters who set elaborate traps and then wait patiently for all the stragglers to wander out in the open. 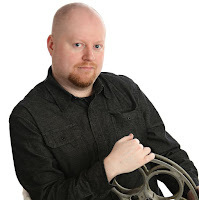 All of this might have been – and often is – conveyed on a movie screen without any incentive to find anything beyond lurid imagery, but director David Slade steps outside the expectation of his genre and rediscovers the buried possibilities of the great horror movies. That he is so implicitly dedicated to fine details without sacrificing them behind the often excessive displays of violence goes to emphasize his ability to find and maintain stalwart focus in the middle of so much visual mayhem. To him, the town of Barrow, Alaska is just an ordinary outpost full of everyday people, and the horror that falls on them so swiftly is as shocking as it is unexpected. That’s because Slade is functioning from a screenplay in which buildup is conveyed without overwhelmingly obvious narrative ploys; everyone is grinding away out of anticipation of the last sunset, but their minds do not immediately sense the inevitability of certain terror because it doesn’t overwhelm their sense of existence. The vampires themselves, meanwhile, don’t even look like the typical personifications of famous cinematic bloodsuckers; with sharply upturned brows, darkened eyes and teeth – not fangs – that jut out of their discolored gums like decayed razors, they seem to emerge from a place of individual nightmares rather than elaborate movie façade. And when one of the surviving victims turns out to be a little girl who has been fully transformed into a blood-hungry monster, the movie doesn’t flinch for an instant when it comes to realizing the inevitable confrontation with disturbing consequences. I often detest the impulses of filmmakers who subject children and animals to such cruelty, but “30 Days of Night” does not use them as cheap gimmicks to push an agenda of senseless violence or shock value, either. There’s an interesting psychology to it all. Does a movie like “30 Days of Night” even need to bother with such details? Is it necessary for the vampires to be more than just mindless beasts wandering the frame looking for fresh meat? 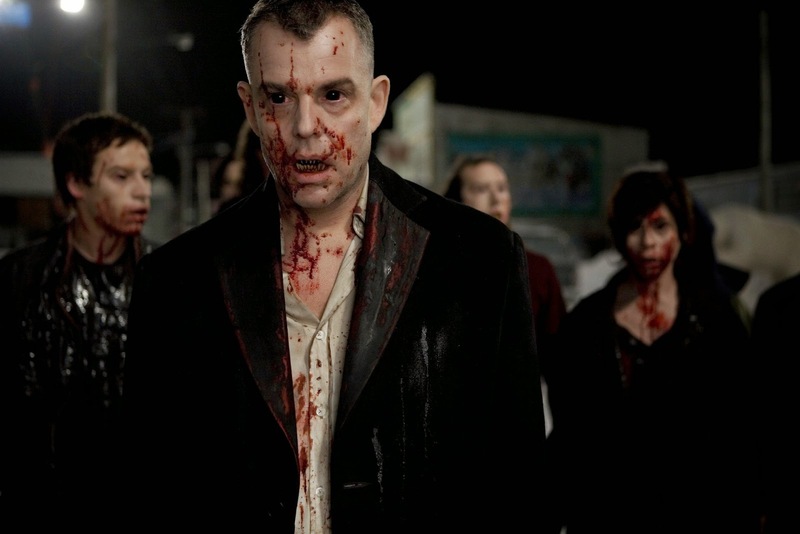 Does any movie even need to bother supplying them a figurehead like the menacing Marlow (Danny Huston), a vampire whose monologues suggest that he and his kind see humanity as a plague needing to be erased? And does it really require these predators, so thorough in their agenda, to possess the foresight to burn the town down in a final act to cover up their ghastly crimes? Of course not. But because the filmmakers collectively take an initiative to construct their plot on the groundwork of plausible human behavior and life scenarios, all the ensuing chaos rests on certain cerebral dignity. The movie’s ending, admittedly, is a little abrupt, especially in context with all of the careful movement of the first two acts; the final confrontation between Eben and Marlow never achieves takeoff, and the ensuing resolution betrays the nature of the remaining blood-hungry onlookers, as if someone from behind the camera is directing them into a state of retreat because, well, the director ran out of time. But these are all such minor quibbles in a much grander scheme, they act as blips on a radar of merit. There have been a lot of movies in the recent years that have attempted to revitalize the standards of clichéd movie villains, but seldom have they been delivered this well, or with such thoughtful and convincing psychology. “30 Days of Night” is an audacious return to the tradition of movie risk-taking.